I use OS X on a TiBook as my primary machine. When I review software, however, I frequently use Windows. Today, while on a Windows machine I was frantically moving the mouse into the lower left-hand corner to expose my running windows so I could find the one I wanted. Didn't work. :-) That's when you know a feature has taken hold of you. IIR will be hosting Europe's first first conference on Digital Identity management in July in London. There's a great list of topics and speakers including Simon Grice, Doc Searls, Jamie Lewis, and Phil Becker. Looks like a lot of fun. Scott Lemon blogged all five days of Brainshare. Lots of good stuff in there to digest. Some highlights: The Future Direction of Netware on Linux The Future of the Linux Desktop Mono for Developers Thanks Scott! Ed Felton takes on "mark-and-trace" DRM schemes in response to Light Weight Digital Rights Management. Sean McGrath has a tough time seeing the case for visual programming languages in a predominantly imperative programming model. I think he's on the mark. But Sean thinks SOA will change this. This is already true, to some extent. Several of the Web services intermediary products I've reviewed recently use visual prgramming tools, notably Grand Central Communications and CommerceOne's Conductor. Step Forward and Be Identified! "A name is now no longer a simple identifier; it is the key to a vast, cross-referenced system of public and private databases, which lay bare the most intimate features of an individual's life." Are you required to identify yourself? A c|net news article gives Passport's eulogy. Charles Betz is talking about IT portfolio management, both top-down and bottom-up. As Charles points out, don't confuse application portfolio management with project portfolio management. The former is closely aligned with an enterprise architecture and probably changes only a little year over year, while the latter is about resource allocation and probably changes month over month. I've been engaged by Aradyme Development to consult on short and long-term product strategies, create the processes for effectively realizing those strategies and provide technical evangelism services. In short, I'll be acting as the CTO and helping them mature their products. Aradyme has some interesting database technologies that are especially useful in doing data extraction and cleansing. I'm excited to be involved in product development again. It should be fun. Ray Lane, a general partner at Kleiner-Perkins is discussing the macro-economic impact of open source software. He talks about the parade of people who come into his office everyday who talk about proprietary software because its (their words) higher quality and better able to differentiate. Ray believes that we need to change how we do things and become more modular and open. He thinks that recovery in the software market requires a sea change in development methodologies. Software is still a buyer's marketplace. Customers all line up at the end of the quarter and beat the vendors up on price. LinuxJournal has a new bimonthly column on Open Office. I used Open Office quite a bit a few years ago and felt it was a good start, but not something I was willing to commit to yet. I've been asking some people I trust lately and gotten roughly the same answer. Anyone care to offer a differing opinion? Post is at Ask Phil. 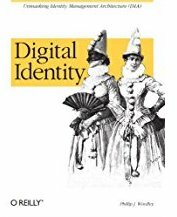 Way last November, I was interviewed on the subject of identity management by Linda Formichelli. The article finally showed up in Public CIO magazine. This paragraph contains a fairly significant mistake, see if you can spot it: In documents created by SAML, which is based on extensible markup language (XML), a user's information comes nested with internal statements about that user's authentication, authorization and attributes. The receiver of that information then automatically determines whether the user should receive the requested information. "CIOs need to be aware of all the work going on in the federal identification space," said Windley. jBoss has received $10M in funding. They also announced the release of Nukes on jBoss by Julien Viet, a content management system written on top of jBoss. They started out with PHP Nukes and didn't like the performance, so they rewrote it. Its what's running the jBoss site. Rich Gordon, a journalism professor at Northwestern University's Medill School of Journalism, believes that technology is changing the future of news delivery. (Technorati Cosmos) Interestingly enough, RSS doesn't even seem to be on his radar screen. An article in CIO Magazine attempts to dispell some of the myths surrounding open source software. If you've never played with multi-disk volumes on Linux, they're pretty cool. This article at LinuxJournal is about using LVM and removable IDE drives, instead of tapes, for backups.. Not a bad idea. Even if you don't need that kind of back-up solution, the article is a good intro to LVM. A Wired article on the AT&T phone trade-in I wrote about a few days ago--for anyone who wants more details. I flew my plane to Denver this morning to attend an advisory board meeting for Ping Identity. This will be the first time we've all gotten together; previously it just been phone calls. This will be fun: a chance to catch up with some friends and learn about the latest with Ping. The flight was great--perfect winter flying. Blue skies, smooth air, and a good tailwind. I was doing nearly 200MPH on the way here and made it in just a little over 2 hours. I'll write about some of the new developments at Ping when we're done. Doug Kaye, from IT Conversations called yesterday to talk for a bit. Our conversation, that touched on my recent experience with SpamCop.net and the Ask Phil forum I just started. Our conversation can be heard, along with conversations with Rich Miller and Robert Scoble at IT Conversations. Having reported recently on my own travails with the Anti-Spam infrastructure, such as it is, I found this InfoWorld article on some emerging Anti-Spam standards interesting. Christopher Allen gives advice to designers of social networks. 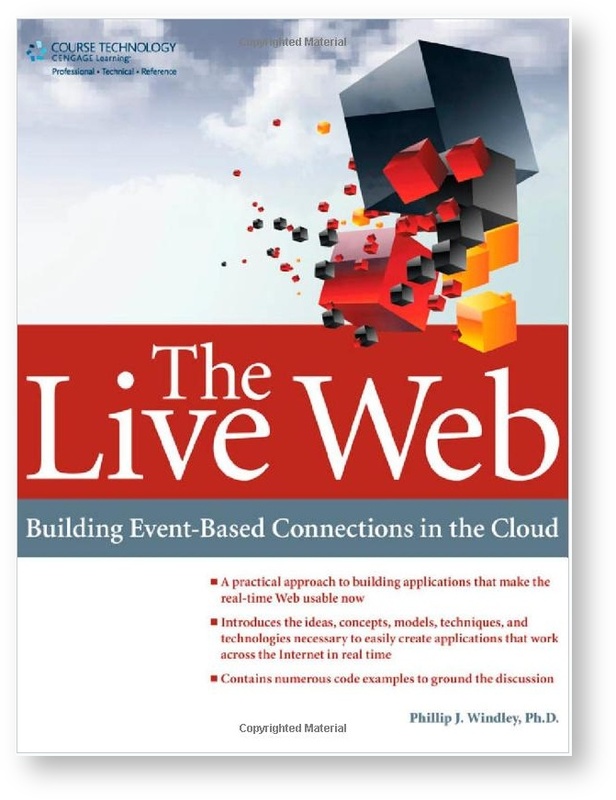 I listened to Brent Sleeper's interview on IT Conversations. Brent talks about a recent study he did at the Stencil Group (link--its broken right now argh!) on Web Services adoption patterns. Interesting stuff. As an aside I bought an iPod recently, mostly so I could listen to IT Conversations and other recorded talks while I'm driving and its working great. WebServices.org had a conversation with Ian Foster on the recent announcement of WS-ResourceFramework and how new specifications linked into Web services will affect the Grid community. In other RSS news today, Amazon has started publishing RSS feeds for selected categories, subcategories and search results in Amazon.com stores. Jeremy Zawodny is ecstatic about it but would like to see RSS feeds for wishlists. Amen. Also, Danah Boyd is talking about what she wants in an RSS tool. I think it can be summarized as "more choice about granularity." NASA announced today that evidence gathered by Opportunity, one of two rovers on the Martian surface, leads to the conclusion that Mars was once "soaking wet". Here's the official NASA press release and here's an brief explanation of the science. Very cool.